Last week, the Eighth Circuit Court of Appeals upheld a National Labor Relations Board (NLRB) ruling that a Jimmy John’s franchisee engaged in unfair labor practices and violated the rights of workers under the National Labor Relations Act (NLRA), after the employees were terminated for staging a public campaign protesting the company's sick leave policy. In MikLin Enterprises, Inc. v. National Labor Relations Board, employees were fired after displaying posters which protested the company's sick leave policy at the franchisee's Jimmy John's sites. The employees had previously attempted to organize the franchisee restaurants, but an employee vote rejected the union. Following the vote, pro-union workers campaigned against the employer’s lack of paid sick leave by displaying posters that complained about the company's sick leave policy that allowed for the discipline of employees who called in sick without finding a replacement. The posters showed two Jimmy John’s sandwiches side-by-side, with the caption “Can’t tell the difference? That’s Too Bad, Because Jimmy John’s Workers Don’t Get Paid Sick Days. Shoot, We Can’t Even Call In Sick.” Managers removed the posters, both at Jimmy John sites and at off-site locations, and disciplined all of the employees involved, including terminating the employment of the "leaders and developers" of the poster campaign. The NLRB held and the Eighth Circuit agreed that the posters were made in the context of an ongoing labor dispute. The franchisee argued that the statement made in the poster was materially false and misleading since the employees could call in sick. The Eighth Circuit found substantial evidence to support the NLRB’s ruling that the practical impact of the policy was that employees were denied the ability to call in sick, either because they could not afford it or they could not find a replacement. The Eighth Circuit rejected the franchisee’s argument that the worker’s campaign was maliciously motivated and intended to injure its reputation, stating there was substantial evidence “tying the effort to obtain paid sick leave with the effect that the lack of paid sick leave could have on [the franchisee’s] product.” In rejecting the franchisee's arguments, the Eighth Circuit held the employees’ speech was protected under the NLRA. This decision by the Eighth Circuit bears a similar resemblance to a Second Circuit decision we reported on in late 2015. In Triple Play Sports Bar & Grill, the Second Circuit Court of Appeals held employee conduct on Facebook was protected activity under the NLRA because it involved current employees discussing working terms or conditions. The Second Circuit also found that the employee comments at issue were not so disloyal or defamatory as to lose protection under the NLRA. 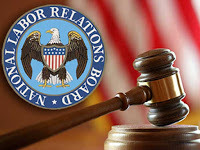 Importantly, both of these cases involve NLRB enforcement activity against non-unionized workplaces, and should remind employers that the NLRB continues to show increasing interest in the policies of all employers.